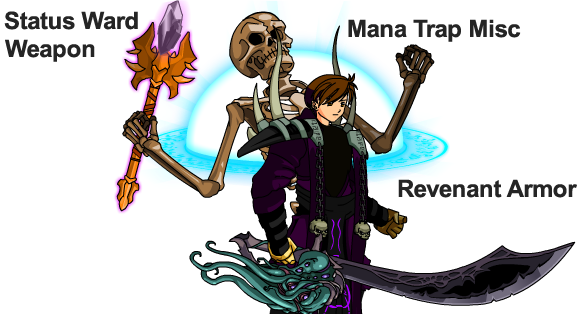 All Forums >> [Artix Entertainment Games] >> [AdventureQuest] >> AdventureQuest General Discussion >> AQ Design Notes >> =AQ= September Golden Giftboxes! Revenant Armor, Mana Trap Misc, and Status Ward Weapon! • Fight as a battlemage of darkness, and when you die return from the grave as a skeletal warrior seeking vengeance! • Staus Ward gives you an edge in battle by protecting you from status effects!